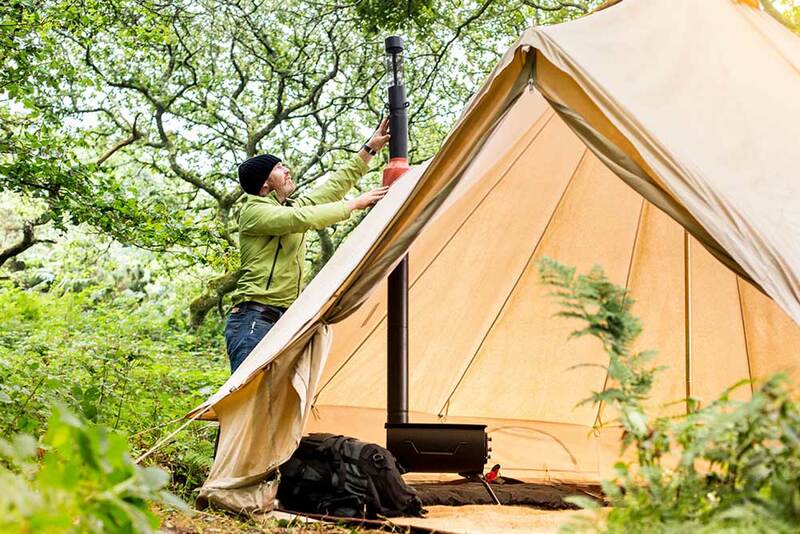 Attention all adventurers… here is a remarkable invention. 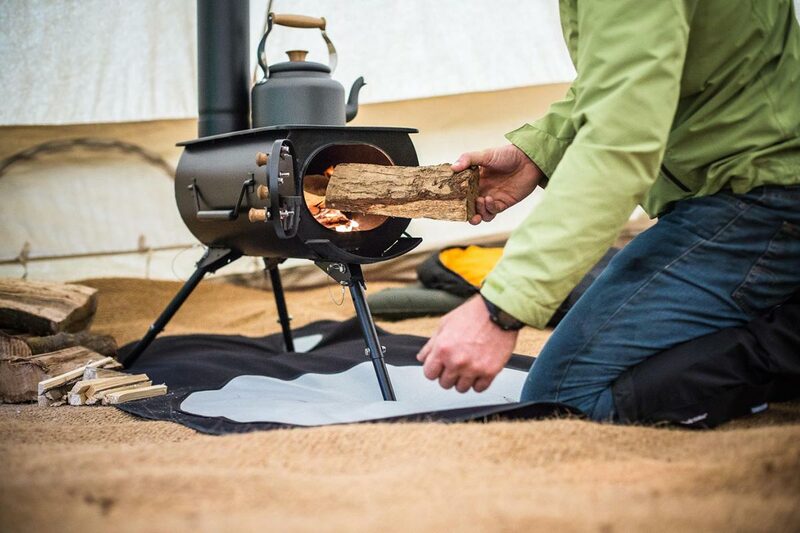 The Frontier Plus Wood Stove is a collapsible wood stove that you can carry with you on all of your escapades. 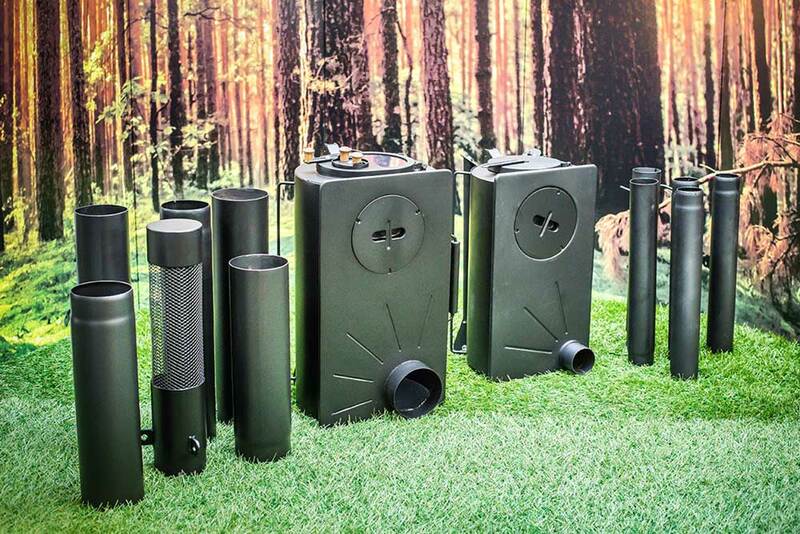 Now, if you want to hear the cracking sound of wood in your camping tent, in a cabin or on your porch YOU CAN with ease!! 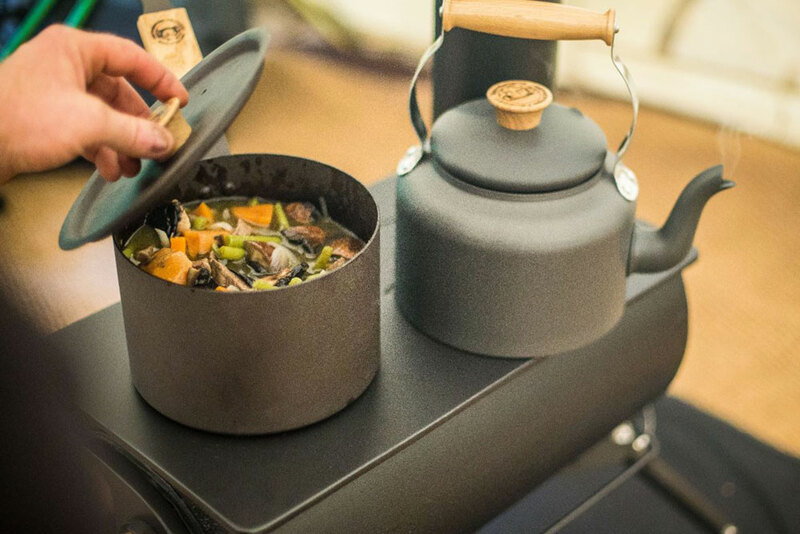 Not only does the stove provide that special romantic ambiance, it also has a small cooking surface so your adventure can be truly a gourmet one. 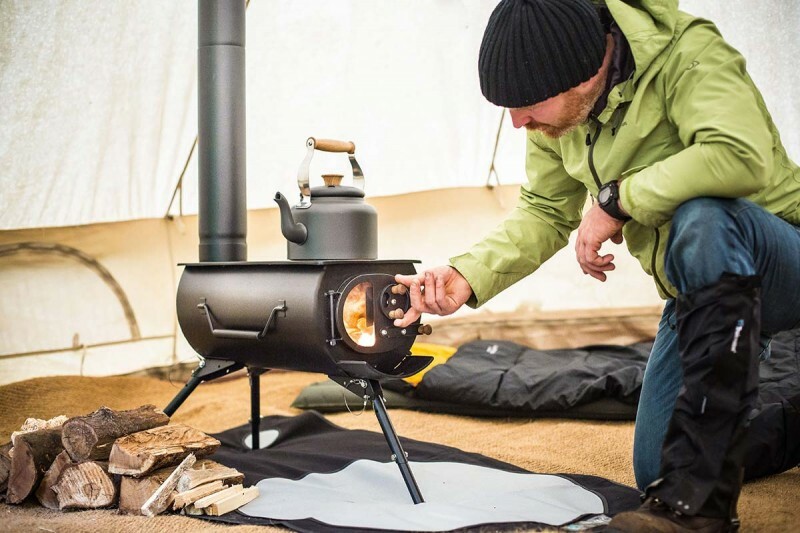 What is outstanding about the design of the Frontier Plus Wood Stove is that all of the parts easily fit into the stove’s body. 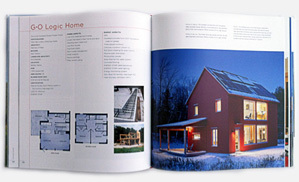 Made from steel, the components include a small chimney, a firebox box and adjustable legs. You can assemble and dismantle the Wood Stove in minutes which means that once the wood is in the Firebox the show can begin. 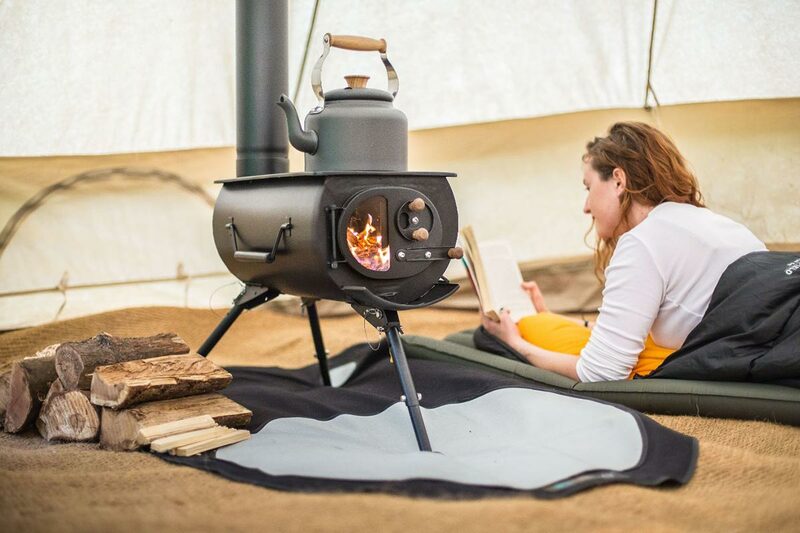 The Frontier Plus Wood Stove weighs only 16.95 kg and when assembled its height is 2.78 meters and its footprint can reach 83 cm X 45 cm (the legs can be shortened for a smaller footprint). The height of the top plate to the floor is 40 cm (a comfortable height for cooking). The dimensions of the firebox itself are 47cm length x 28cm.